This article about how beauty is perceived in different cultures. 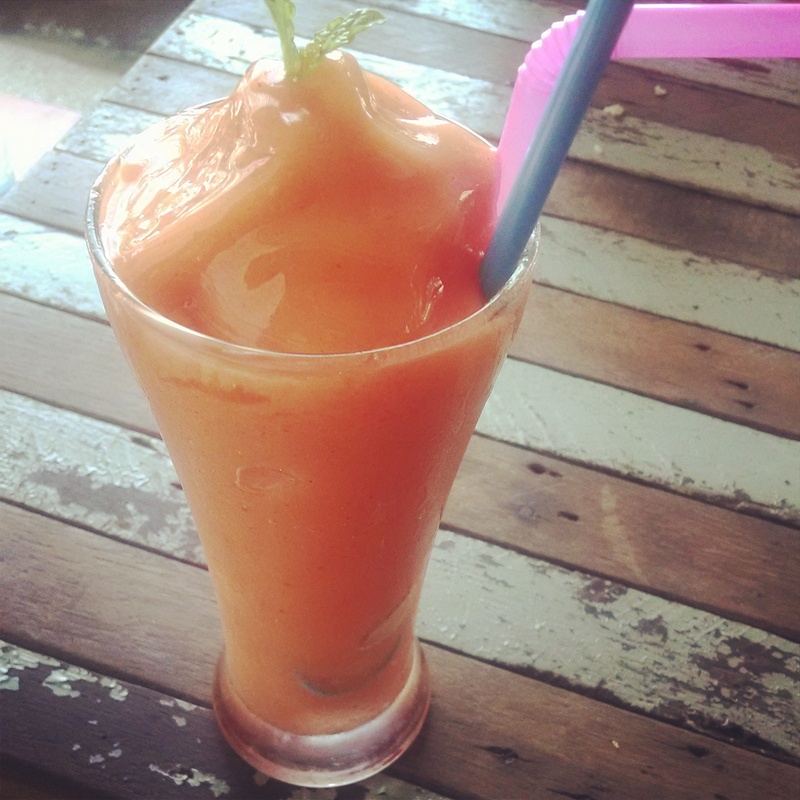 Smoothies from Pad Thai Rock n’ Roll in Koh Lanta. I’ve never tasted anything like them, they are life changing. The food is good too. I took my first bite of my fried rice, and I actually moaned. The chef (who cooks everything on a coffee cart sized counter right beside the tables) heard me and gave me a big smile. I’m pretty sure he gets that all the time. We ate there twice in our first two days on the island, we wanted to go back the third day but couldn’t get there due to torrential downpours and flashflood warnings. We actually thought about trying to go anyways, but decided that our mothers would be pretty pissed if we were killed in a moped accident trying to get smoothies and fried rice. We made a break neck trip there on our last day in Koh Lanta, I had to ride on the back of the moped without holding on since I had a smoothie in each hand. We almost got run off the road by a monkey and nearly missed our bus to Krebi but it was worth it. This video, by Glen Keane, who did the animation for The Little Mermaid and Aladdin.